Good morning, we'll bring you all the latest news, sport, weather and travel updates between now and 18:00. And we'll be covering Birmingham and the Black Country, Coventry and Warwickshire, Shropshire, Herefordshire, Worcestershire, Staffordshire and south Cheshire. If you'd like to get in touch to comment or share your photos, visit our BBC Midlands Facebook page, email us, or tweet @BBCMTD. League One's top two sides cancel themselves out as leaders Wigan are held to a 0-0 draw by Shrewsbury. An investigation is under way after two Severn Valley Railway train carriages were vandalised. 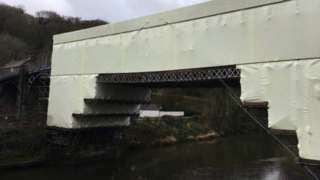 Engineers working to conserve the Iron Bridge said previous repair attempts had not always been successful. M54 Shropshire westbound severe disruption, at J3 for A41. M54 Shropshire - M54 lane closed on exit slip road westbound at J3, A41 (Albrighton). Traffic is coping well. Why has eight-year-old Maggie asked her mum for toilet roll for Christmas? Stefan Payne scores his 10th goal of the season as Shrewsbury Town beat Portsmouth to stay second in League One. M54 Shropshire eastbound severe disruption, between J3 for A41 and J2 for A449. M54 Shropshire - Slow traffic and one lane closed on M54 eastbound between J3, A41 (Albrighton) and J2, A449 (Wolverhampton), because of a vehicle fire. Bridgnorth, Ludlow and Oswestry maternity units are to reopen on 1 January. A4169 Shropshire both ways severe accident, between A458 Victoria Road and B4380 Buildwas Road. A4169 Shropshire - A4169 Smithfield Road closed in both directions between Gaskell Arms junction in Much Wenlock and the B4380 Buildwas Road junction in Buildwas, because of an accident. Shrewsbury Town's manager says they've held positive talks with Norwich City about the possibility of extending Ben Godfrey's loan. The midfielder's current deal expires next month and boss Paul Hurst has been keen to keep Godfrey beyond January. We've had dialogue and I think that's something we might be able to do. We've had a positive chat so hopefully that'll be one that we can get done." The government's being asked to stop plans for police suspects in Shropshire to be taken to court in Kidderminster instead of Telford. Under current proposals from the Ministry of Justice (MoJ), five remand courts in the West Mercia Police area would be closed and replaced with just one in Kidderminster. The MoJ says its proposals, which affect other courts in the country, are about modernising the justice system along with £700m in investment over four years. But the plans have been criticised in Shropshire for the impact on police finances. With the size and scope of West Mercia, to be taking everybody from both Hereford and Shropshire as well as Worcestershire to Kidderminster is going to increase those journeys and their costs to the police." Flowers and other tributes have been laid at the scene where a young boy died after being hit by a car. The 19-month-old victim died, police said, after he was hit on the forecourt of Minsterley Garage. A document outlining why Shropshire Council wants to go ahead with Shrewsbury's North West Relief Road should be arriving at the Department for Transport today. The road, which would cost more than £100m, is one of a dozen projects competing for government approval. The council says it won't find out until March whether it's been successful in its bid for funding. Police have released more details about a young boy who died after being hit by a car in Shropshire yesterday. West Mercia Police says a 19-month-old boy died after he was hit by a silver Hyundai Santa De on the forecourt of Minsterley Garage. Officers said the boy died from his injuries at the scene. We are appealing for anyone who witnessed the collision or who may have any information to please come forward. This has been an understandably distressing incident within the community." A fundraising campaign has been launched to save the former home of King Henry VIII's wife Catherine of Aragon. Three maternity units in Shropshire will re-open in the new year after closing in 2017 due to staffing challenges, health chiefs say. The sites in Ludlow, Oswestry and Bridgnorth were shut in July because of staff sickness and a drop in the number of midwives prepared to work overtime. 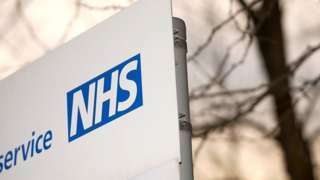 The Shrewsbury and Telford Hospital NHS Trust says full services will resume from 11:00 on New Year's Day. However, the long-term future of the three rural units is still uncertain as the Shropshire and Telford and Wrekin clinical commissioning groups are planning to revamp them under a major review. A thief stole £11,000 worth of post boxes from villages and sold them on eBay. Mark Crowther stole post boxes from Wrexham, Flintshire and Shropshire, causing a total of £26,000 in damage. Crowther, 37, of Chirk, Wrexham, admitted 33 counts of theft and five attempted thefts and got a 12-month sentence, suspended for 16 months. Sitting in Mold Crown Court, Judge Niclas Parry called it "an attack on the way of life in rural communities".